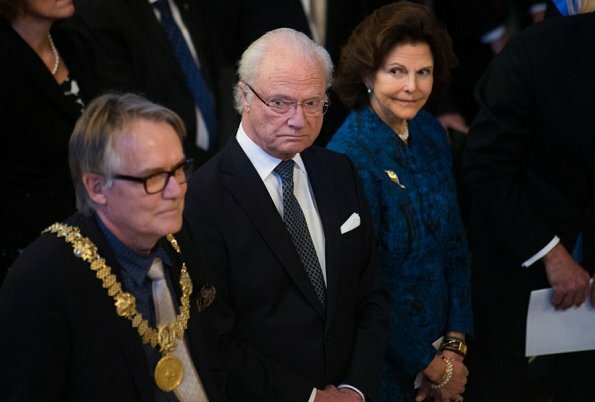 Wonder why Carl Gustaf always looks so annoyed, grumpy, bored or all of the above? I swear I can't remember the last time I saw him smiling. Maybe he's shy?? I agree, always så grumpy! King CG has a perpetual scowl on his face. I know that he's a king and has to look "serious" all the time, but the result is that horrible look on his face. Even in official photos he's scowling like that, when he actually does smile (which is rare) he looks much more pleasant. He should smile more often, if you go back and look at some of the official photos from christening's he is smiling. Maybe he's shy! 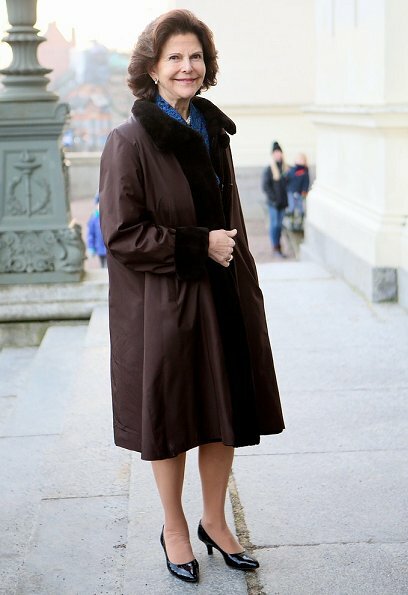 On the other hand - lots of swedish people would love to see Victoria on the throne, the sooner the better. 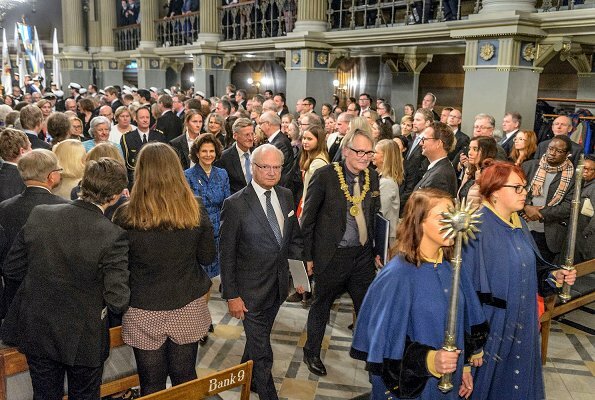 So probably Carl Gustav is preparing for a new role. His role model is the successful grumpy cat. He wants to imitate that as grumpy carl. Haha too funny Coralie. Grumpy Carl, love it! 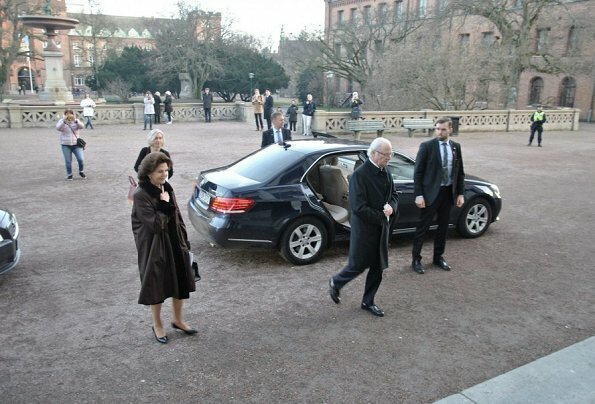 I highly doubt CG would abdicate for Victoria though, he's made it very clear to the Swedish press that he will be king until the day he dies. 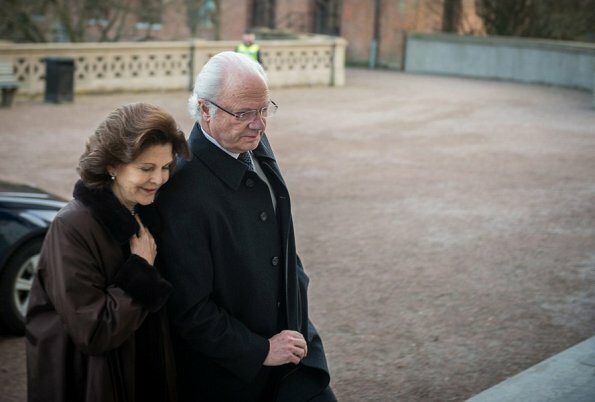 Queen Silvia has softer brown color of hair which makes her face look nice. When women have a perpetual similar look on their face we refer to it as RBF...resting b*tch face. Maybe it's just his normal look? I actually almost commented the he has a RBF! Perhaps it is his normal look, although I think it's something he learned to do because he's king. We should start saying he has GOMF - Grumpy Old Man Face! GOMF is wonderful, Chelsea. Next time my boss tries to give me a stern look I'll tell him: "Come on, don't GOMF me!" I agree about his expression. How hard is it to smile? He has a job to do and part of that is to be pleasant to people he deals with. Everyone has to do that. 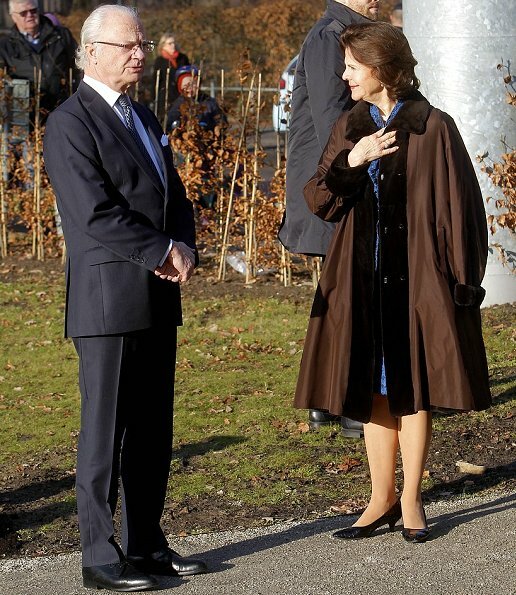 Love the brown coat on Queen Silvia, very becoming.